29 Jun 2017 --- Beer lovers may soon have a gut-friendly drink to raise a toast to, thanks to the creation of a novel probiotic sour beer by a team of researchers from the National University of Singapore (NUS). This new specialty beer incorporates the probiotic strain Lactobacillus paracasei L26, which was first isolated from human intestines and can neutralize toxins and viruses, as well as regulate the immune system. The idea of producing a probiotic beer was first mooted by Chan Mei Zhi Alcine, a fourth-year student from the Food Science and Technology Programme under the NUS Faculty of Science, who consumes dairy-based probiotic beverages daily. “The health benefits of probiotics are well known. While good bacteria are often present in food that has been fermented, there are currently no beers on the market that contain probiotics. 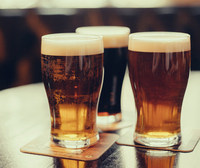 Developing sufficient counts of live probiotics in beer is a challenging feat as beers contain hop acids that prevent the growth and survival of probiotics. As a believer of achieving a healthy diet through consuming probiotics, this is a natural choice for me when I picked a topic for my final-year project,” says Chan, who will be graduating with a Bachelor of Applied Science in July. Studies have shown that consuming food and beverages with live counts of probiotics are more effective in delivering health effects than eating those with inactive probiotics. Currently, the recommendation by the International Scientific Association for Probiotics and Prebiotics is to have a minimum of 1 billion probiotics per serving to attain the maximum health benefits. By propagating the probiotic and yeast in pure cultures, and modifying conventional brewing and fermentation processes, Miss Chan managed to increase and maintain the live counts of the strain of probiotic. “For this beer, we used a lactic acid bacterium as a probiotic micro-organism. It will utilize sugars present in the wort to produce sour-tasting lactic acid, resulting in a beer with sharp and tart flavors. The final product, which takes around a month to brew, has an alcohol content of about 3.5 percent,” explains Chan. The NUS research team has filed a patent to protect the recipe for brewing the probiotic sour beer. “The general health benefits associated with consuming food and beverages with probiotic strains have driven demand dramatically. 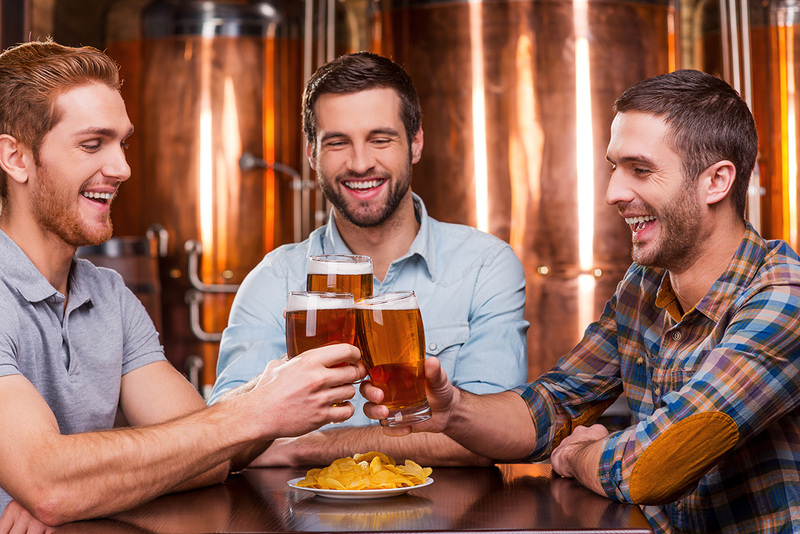 In recent years, consumption of craft or specialty beers has gained popularity too. Alcine’s invention is placed in a unique position that caters to these two trends. I am confident that the probiotic gut-friendly beer will be well-received by beer drinkers, as they can now enjoy their beers and be healthy,” Liu says. Looking ahead, Liu and Chan are keen to collaborate with industry partners to introduce the beer to consumers.